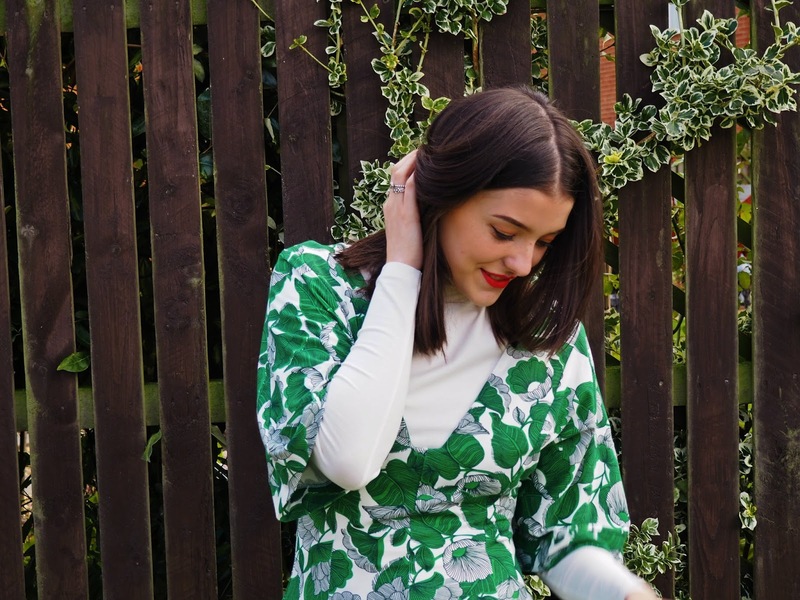 We're now steaming straight into Autumn, and it seemed only fitting to capture one final outfit post amongst the greenery before the trees turn into a sea of reds and orange, and what better way to do that than in a dress made up entirely of a leafy green pattern? Although the cut of this dress is just stunning, it isn't exactly appropriate for the colder months ahead, so I decided to layer it with this gorgeous, slightly off-white turtleneck, which is the warmest thing I own (despite being one of the thinnest... I know, the world is a strange place). Now for something a little off-topic, I've been planning on starting my own YouTube channel for a while now, and I have a huge pile of videos planned, including a big old ASOS haul (because who doesn't love one of those, right?). I'll also be doing a few beauty looks, monthly favourites and that kind of thing, so if you have any videos you'd like me to do please drop a comment below and I'll be sure to try my best! You can subscribe to me here (to make me a very happy munchkin), and my first few videos will be up in the next few days! Eeek, exciting! Gorgeous isn't it, such a great layering piece!